A "Press-This" Re-Distribution of another enjoyable entry by the one and only Hippie Cashier. Sarah Palin shows her lack of knowledge in a few prize quotes. Murkowski sucedes the Alaska Election in large part to Palins political power, Palin tweets a miracle and in honor of justice.... MURKOWSKI prevails with the write-in election upset! In your face, Palin! “I have always been a big fan of good spelling. This is because it’s one of the few things I’m relatively good at. … More Shameless Political Mockery Coming Soon! The fact remains that Lisa Murkowski has rightfully secured the Senate seat for Alaska in the recent mid-term elections. Murkowski already had a a landslide lead of 1,700 more votes than the poor loser, Joe Miller. This was the lead she held even prior to the upset of the thousands of ballots sent in her favor. However you slice it, by way of spelling or grammar or Palin pursuasine power, Joe Miller did succeed in one very unique and unforgettable way. This man created an undeniable art form of embarassment and shame, brushed with the paintrstrokes to deny truth in numbers and etchings of desperate attempts to somehow steal the Senate seat. Miller is not worried, nor is he embarassed, as he spoke candidly when he spoke with Neil Cavuto of Fox News on November 17th. When it is ponted out to Miller that even in the unlikely event that he wins every mail in ballot of the State that a victory still could not be obtained, as he already trailed Murkowski by nearly 10,000 votes, Joe retorted with a denial of the numbers. His work of art begins. Miller insisted to Cavuto that his pre-meditated stradegy of demanding a recount and challenging the state of Alaska if the election did not result in his favor would be entirely selfless. He claimed that he was not cocerned with winning or losing the election, only that he was dedicated to ensure that the result was one of integrity and accuracy to ensure consistency in the voting process. The art form develops further… The masterpiece has only just begun. Miller is determined to pursue his lawsuit filed last week against the state of Alaska to overturn Murkowski’s win for the Senate seat. Sarah Palin has already endorsed Joe Miller’s lawsuit on Twitter, her new favorite political soapbox. where there’s no spelling bee and it’s completely acceptable if you are a prize idiot. “All of ’em, any of ’em that have been in front of me over all these years.” -probably the greatest example of Palins complete lack on knowledge or credibility. “As for that VP talk all the time, I’ll tell you, I still can’t answer that question until somebody answers for me what is it exactly that the VP does every day?” — this Sarah Palin statement was made exactly 6 days before she was announced as Mccains running mate. I mean really? REALLY?!?!?!?! She must have really hit the books in those six days to research what exactly she was running for. There is no justification, she was a prize idiot from the very beginning. “They are also building schools for the Afghan children so that there is hope and opportunity in our neighbouring country of Afghanistan.” –Palins Geography skills showcased in a statement made in october of 2008. I, for one have to believe in miracles now Miss Palin, as without any trace of knowledge, tact, integrity or credibility you have managed to become a National Political Figure. Once again opening her big fat mouth a bit too soon, Palin made one more fumble. In a historical write-in campain for Murkowski, she prevailed over Palin and Miller in the greatest and most effective way, defeating a Palin-backed nominee from her very own dear, sweet Russia bordering state of Alaska. Lisa Murkowski secured her seat in the Senate with honor and integrity, while Palin appeared as a toddler stomping her feet and social networking a premature victory. 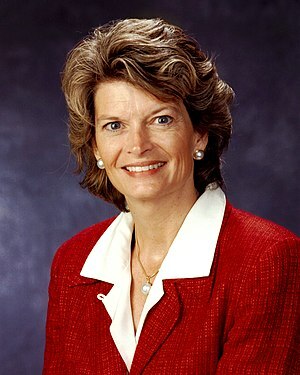 Once all is said and done in this continuing Alaskan Atrosity, Murkowski will be viewed as a woman of integrity and moral standard through the duration of the election, her succession and still remaining strong and honorable when the State determined she was without any doubt the Senate seat for the State Of Alaska with a dynamic victory. While Palin, the woman who exhausted every possible angle to defeat Murkowski has succeeded only in supplying the priceless material for another Satuday Night Live worthy skit inspired by her exponential idiocracy. For Lisa Murkowski, I am glad that true Justice was served. Please let me know if you’re looking for a article writer for your weblog. You have some really great posts and I think I would be a good asset. If you ever want to take some of the load off, I’d absolutely love to write some content for your blog in exchange for a link back to mine. Please blast me an e-mail if interested. Kudos! I just want to tell you that I am beginner to blogging and site-building and truly enjoyed this web-site. Most likely I’m likely to bookmark your blog . You amazingly come with awesome articles. Cheers for sharing with us your web-site. btw the theme of you site is really super! Next Entry I am a Squid. oo!! !